"In the heart of the Antarctic cold lies a dark secret frozen in time. Cold this be the end of our four heros? " 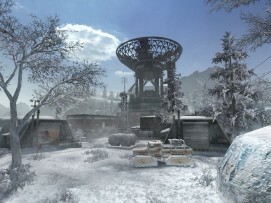 The map is located in an abandoned Artic base. You start off in the outside and make your way in. Going either higher up in the structer or lower into the structure. Freeze Room(Trap)- a room that freezes everything in it that doesn't have the Eskimo Perk. All perks from Ascension return. Eskimo - A perk that will allow a player to survive the Freeze Room trap. Time Saver - A perk that will allow the player to keep certian power-ups for an added 60 seconds. Combat Training - A perk that gives the player a mix of Speed Cola and Stamin Up as well as giving them a faster ADS and the ability to chamber a bullet. Get Up - A perk that acts as Quick Revive(Solo Mode) in every other game mode. The secret song.The hidden song for this map is an Original Soundtrack song from Trocardo an alternitive band who works with Rooster Teeth to create the music for their ongoing webseries Red vs. Blue. How you must get the song is also a Red vs. Blue as well as a reference to the character who the theme is for once called Agent Maine now known as the rouge freelancer The Meta. The song is found upon finding 3 peices of armor from a seperate project that was going on at the base known as Project Freelancer. In the project armor that would create the perfect super soldier was made however only 4 peices were completed. 3 of these peieces were then scatered. Upon hitting the use button on a peice or armor you shall pick it up giving the entire team the armor picked up in their inventory. The three peices of armor that were scatered are helmet chest peice and arms. The remaining peice are the legs. Upon getting the scatered 3 the song We Are The Meta shall play. Now as said you shall pick up the armor. This will unlock one last room for free. However the catch is only 1 player is allowed to enter it and if they don't finish the challenge before they leave the challenge won't be able to be completed and the doors shall remain closed for the remainder of the game. The door however only opens once every peice of scatered armor is collected. The room is pretty much a bare hallway with an armor rack but with only the legs in place. Upon placing the armor a bright light comes from the armor and you cannot see for 10 seconds. This doesn't matter as the player cannot be faced by zombies while in this room. After the light goes away your screen will be tinted blue and you shall be inside the armor. While within the armor you will have anA Player who has completed the Armor Challenge firing the China Lake.Added by Sniperteam82308 upgraded China Lake with infinate ammo and an Death Machine in the other hand. There is no aiming down the sights, grenades being able to throw however you can still revive as well as having a stronger melee. A player will have about double the health they would have with Juggernog. The armor only stays for about 90 seconds upon leaving the room and once the time is up you will hear a female automated voice say "Error Error, Malfunction with power all systems shutting down" upon which you will get the weapons and perks you had before going into the suit back and loose the double juggernog and their melee will be brougth back to normal. To prevent more than one player going into the room with the suit if anyone else goes into the room both players in the room will be downed. Sniperteam put the word cold in place of could in the level description for a reason. It was meant as a referance to the Arnold Shrawzenegger version of Mr. Freeze in Batman and Robin who would replace words and make many cold themed puns. 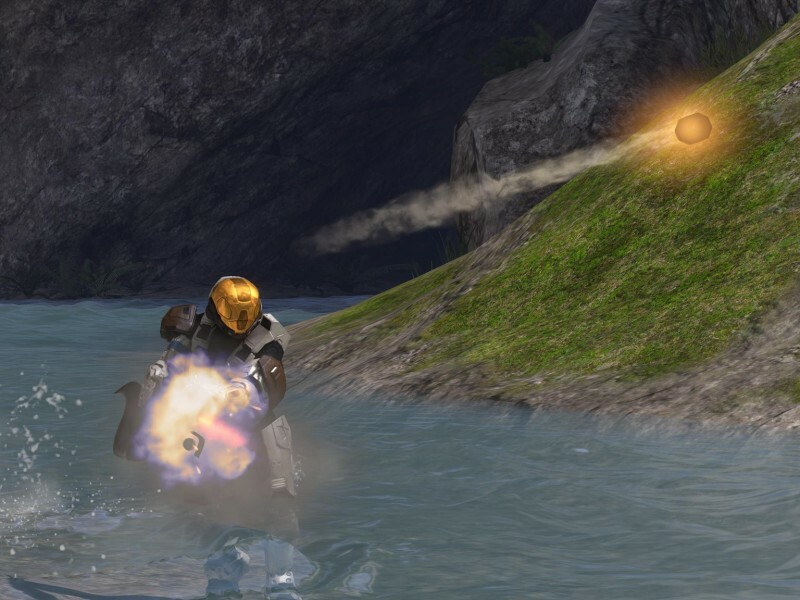 The armor challenge as well as hidden song are a reference to Sniperteam82308's favorite web seires Red vs. Blue. The Dual Weild Ray Guns are actually an idea by fellow user and friend Daniel Smith . This is one of Sniperteams favorite ideas of his. Nazi Zombies + Fanon Wiki is a FANDOM Lifestyle Community.